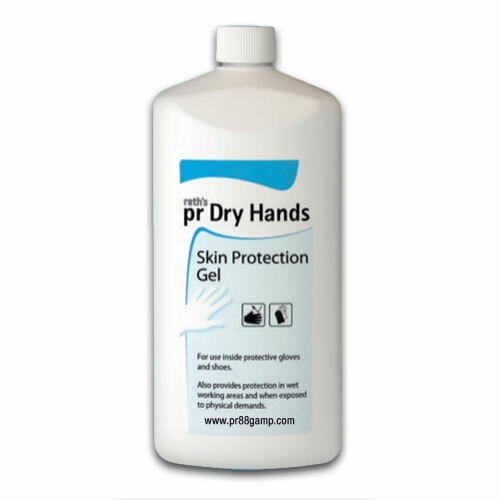 prDry Hands Skin Protection Gel (1 Liter) | pr88 / GAMP Inc.
prDry Hands protects the skin against skin softening due to build-up of moisture when wearing protective gloves and footwear. Reduces formation of sweat, hardens the skin. 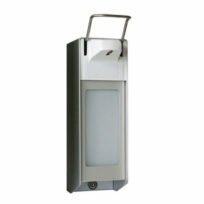 Who work in a damp or wet working area. Protects the skin against skin softening due to build-up of moisture when wearing protective gloves and footwear. Reduces formation of sweat, hardens the skin. prDry Hands is an aqueous solution of a combination of two active ingredients with skin firming and sweat reducing effect. The two ingredients complement one other in their effect. prDry Hands has no fragrances, no preservatives. HOW DOES prDry Hands BENEFIT THE SKIN? 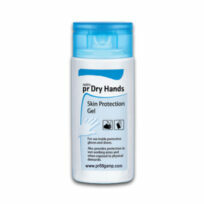 prDry Hands protects and firms the skin and reduces the formation of sweat. So, inside occlusive gloves and footwear, prDry Hands works against softening of the skin. 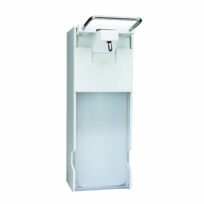 It gently inhibits any inflammation and hinders the excessive growth of germs. Also a doubling of the period in which the gloves could be worn could also be demonstrated in an initial application test in an actual work situation; this was the result of a reduced release of sweat and, consequently, a much more comfortable feeling when wearing the gloves. – There are approx. 60 applications per 100 ml. of prDry Hands. The people affected by this problem work in many fields such as, for example: hairdressing, the health and care sectors, the food processing industry, meat markets, catering and building, cleaning personnel, laboratory workers, and those in the chemical industry,etc.